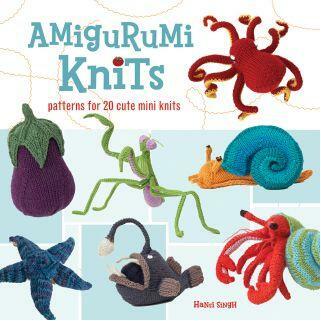 I recently finished a project from the book Amigurumi Knits: Patterns for 20 Cute Mini Knits by Hansi Singh. I bought the book because this woman’s idea of cute is wonderfully twisted. While the patterns for veggies and star fish are adorable, not everyone can see the sweet in jellyfish, earthworms, and spiders. Yes, the book includes patterns for all of these, and also for a praying mantis, a black-devil anglerfish, and (believe it or not) garlic. 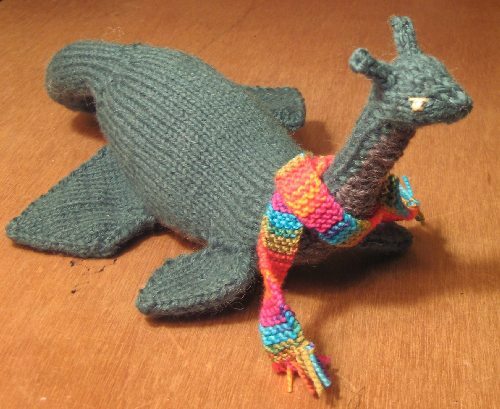 But the pattern that intrigued me most was one for the Loch Ness Monster, which is the first thing I’ve made from the book. So glad Nessie is finished! And the scarf is perfect.